But what you may not know is they also make cosmetics!!!! I Love eyeliner as I have said many times and I am considered Goth so Manic panic cosmetics are right up my alley. 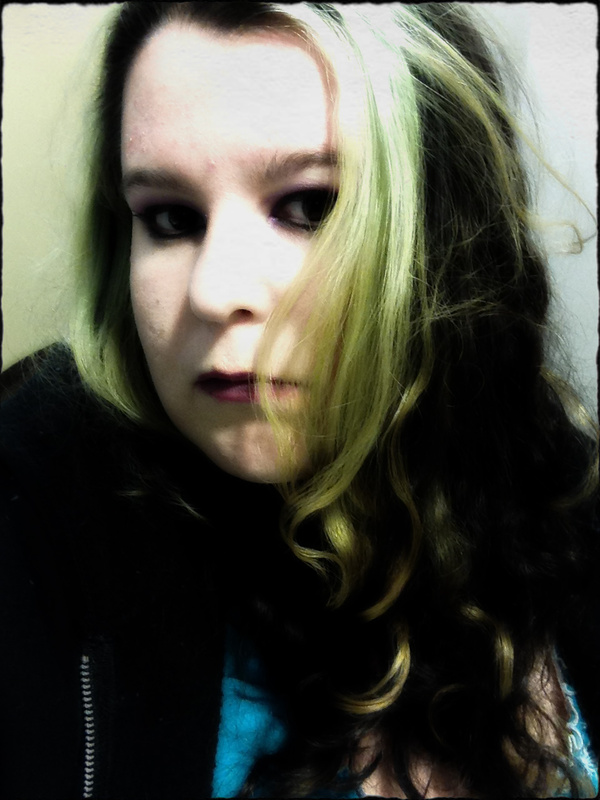 I was sent the Final Curtain Total Look Kit and Raven Mascara - Black. I Love the package and design of it. I can absolutely say this would be a perfect gift for someone dark in your life. I tried everything except the eyelashes in this kit (I'm saving them for a special occasion.) I absolutely adore the cream eyeliner and plan on buying more once this is gone. This has been in my purse all week and I just cant get over it. I would recommend using a primer and normal foundations before putting on the makeup to help make it last and cover any imperfections you may have. I am sad that the black lipgloss seemed to be dried out and didn't provide the coverage I expected. This powder will lighted up your normal foundation while allowing you still to have the coverage your normal foundation provides you. As I hate my lips I am not normally a fan of dark colored lip glosses but I LOVE this purple. I love how this combined with the eye shadow can make any outfit shine. I layered the Purple eye shadow on first and once I got on the right shade of purple by layering I added some black from mid to outer corner. I received a lot of complements and a new Facebook profile pic that I adore! The mascara I have to say has quickly become my favorite of any I have ever owned. My eyelashes are usually all over the place and this helps to control that and it clumps way less then anything else I have tried. I will be keeping this in my purse until I run out and then I will have to buy some more. At this point I like it better then the Lot's of lashes mascara. What is your favorite Manic panic product? I myself plan on purchasing Their lipstick in both Purple Haze and Lethal as soon as I have the extra cash. Emerging one evening from the shadowy depths in New York City’s East Village, a vampish brainstorm was given first breath by Tish+ Snooky (Manic Panic’s founding rock and roll sisters) and the gurus of glam at InStyle Studio Corporation. 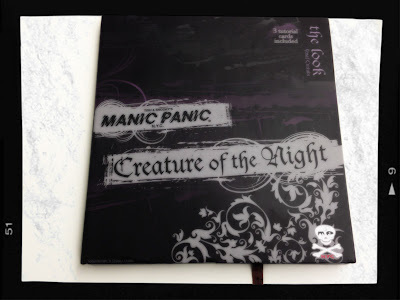 In collaboration with the cosmetics virtuosos, the Creature of the Night cosmetics line was born. A collection of edgy and bold rock-goth palettes with the most distinct and seductive unconventional looks in mind; each can be tailored to one’s level of personal expression. Kits feature one-of-a-kind instructions direct from Tish & Snooky, showcasing a progression of hot looks ranging innocently from PG-13 to Rated X. Palettes include dramatic and seductive eye statements, deathly luscious lip lacquers, and complete looks for the ultimate decadent outing. While looking naughty and deviant is an absolute must, it is second only to remaining devout to their animal friends. 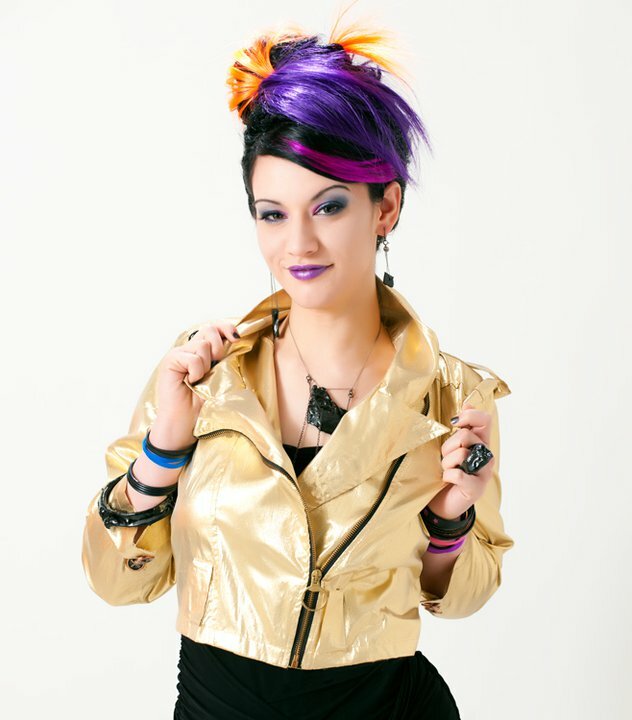 All products are 100 percent cruelty-free, meticulously crafted of high quality vegan formulations that apply flawlessly, have staying power, feel light and airy on the skin; all with shades that perfectly complement Manic Panic‘s most popular hair colors. Tish & Snooky’s MANIC PANIC NYC was born on 7/7/77. While singers in the original Blondie lineup, the sisters gathered their clothing designs and opened America’s very first punk-style boutique on NYC’s infamous St. Mark’s Place. 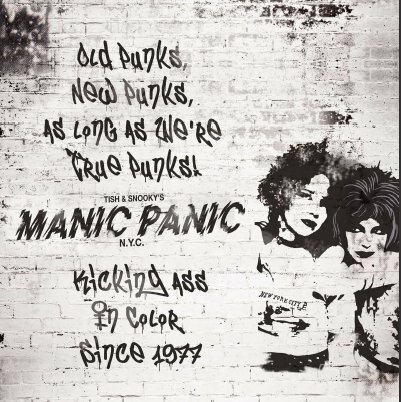 The original MANIC PANIC boutique became an icon of “first generation punk”, igniting the late 70’s PUNK scene, infusing color into the 80’s with hair dyes in every color of the rainbow with matching wild colors for lips, nails, and eyes, and adopted by high fashion, celebrities and sought after by the press. With the millennium came major international distribution for the line into the UK, Australia, Italy, Germany, Belgium, Denmark, Spain, Poland, Austria, Czech Republic, Japan, Canada, and the Netherlands. In between running the MANIC PANIC empire and traveling the globe, the sisters still manage to find time to perform. They continue to rock out reuniting for special occasions and various animal charity events. 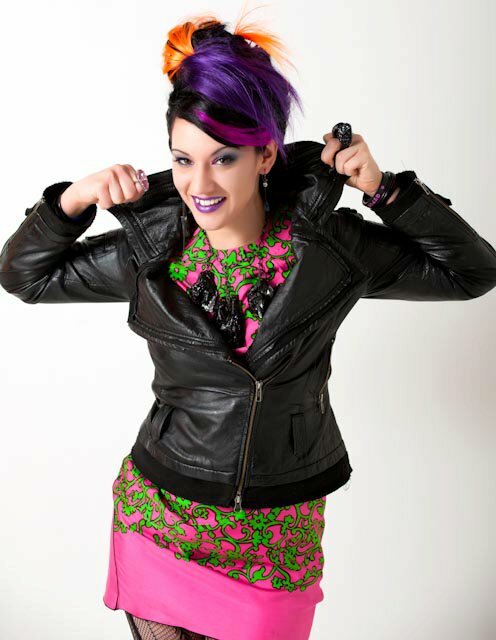 Stop by www.manicpanic.com for more information. Ruby, I just wanted to post on here and say for the record that I used the exact same kit you had with you at work and the black lip gloss works just fine if you make sure to use enough of the lip liner first. The gloss is more of a finishing touch than for total cover and color. I also added a little of the purple lip gloss on my inner lips once I was done which I thought came out nicely as well. For someone like you who can pull off these colors and loves to wear makeup I think this is a great product. 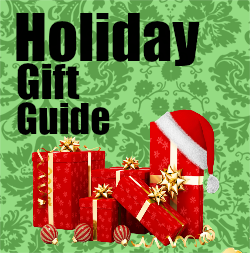 And even though the kit provides a small amount of each product you don't really need a lot to make it look good so I think the price is reasonable for what you get. That is some really cool makeup! I'd like to try the mascara, great review. I have been wanting to do something wild with my hair lately, I haven't heard of Manic Panic before, but I sure will be looking for them now! Thanks! What a great review! I love dark eye shadow, so I might have to try this! Awesome review. I hqave the same issue with mascara so I may need to try thiers. I loved the colors in this pallete. Will be trying some of the cosmetic line. I also want some of the hair dye! That purple looks really good on you. I think I might even like something like that, lol. They do have a bold style. I don't think I've seen this brand before but it looks like fun. Might give them a try. Awesome makeup and I loved the review! Wouldn't work on me colorwise but it looks great on you!! Looks like you found something that works for you! It is a great look on you. Looks great on you! !I had never heard of them before so I'm going to check them out!! I didn't know Manic Panic made makeup! I can't use their dye because it just refuses to take in my hair, but I'd love to try their makeup sometime! we use the manic panic hair dye stuff at halloween here :) great review! I love the colors. They look great on you.